Old-World Charm & Contemporary Elegance A blend of old-world charm and contemporary elegance set in a southern styled manor with breathtaking views of the Hudson Palisades that will charm you and your guests. The Cuisine We personalize every wedding menu to feature your favorite foods, multicultural cuisines and customs, while offering traditional Italian & European Hospitality. The Briarcliff Manor Family The Briarcliff Manor is a family business. When planning a wedding with The Briarcliff Manor, you become a part of our family. We genuinely care about you before, during, and after your event. Caring & Professional Service Passionate and dedicated professionals who are here to guide you through the planning process and provide you with excellent service and food. The DiNapoli family celebrated 25 years of business in the catering and hospitality industry in 2016. It all started back in 1991 with Antonees Gourmet Deli and Catering in Mount Vernon. Ever since then they have been able to expand their reach and expertise throughout the county. Along the way, brothers Perry, Louis and Anthony along with their father Louie DiNapoli ventured into Antonees on Broadway in White Plains, two cafeterias, and two additional restaurants – Angelina’s Ristorante and The Olde Stone Mill in Tuckahoe, before setting their sites on their most recent venture, The Briarcliff Manor. Under husband and wife team, Perry and Vincenza DiNapoli’s leadership The Briarcliff Manor has become one of Westchester County’s ideal setting for weddings, parties, business events, and just about any event where food, service, and setting are priority. 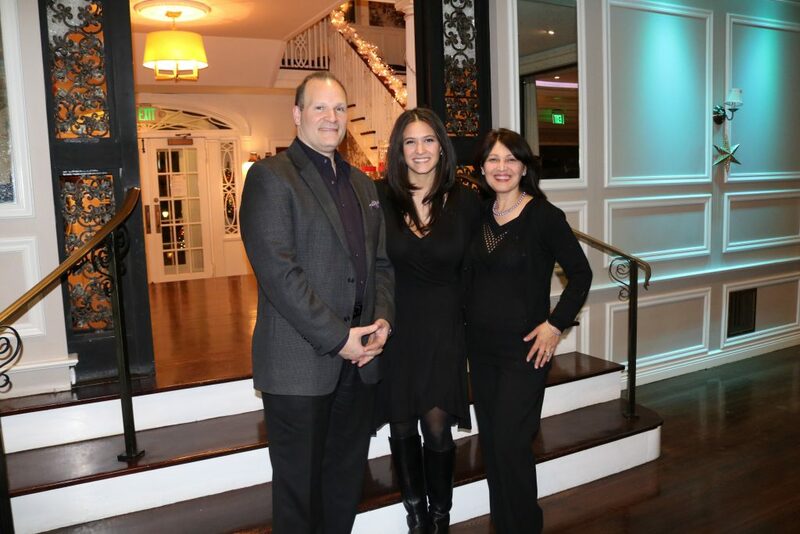 With three generations of DiNapolis in business, the youngest being Adrianna DiNapoli – responsible for Business Development, the family has been able to blend old-world traditions, values, and experience with new world thinking, creativity, and technology which has helped them to grow to an exponential level. The southern manor in the hills of Briarcliff, NY, The Briarcliff Manor, overlooking a breathtaking view of the Hudson River & Palisades has an exciting story to tell. Built in 1902 and originally the Haymount Estate, Wall Street Financer and Lawyer/General Counsel for the American Tobacco Company, Williamson Whitehead Fuller and his wife Annie Staples of Greensboro called the Haymount home for a number of years. The Haymount was styled after the grand southern plantation of the late 1800s boasting southern charm and grandeur. The Fuller family called the Haymount home until Fuller’s death in the early 30s. The Manor is rumored to have hosted some of the area’s most interesting characters during the Prohibition era as a speakeasy. It’s convenient location allowed easy access to shipments of outlawed goods. In her most famous role yet, the manor proudly served as inspiration for producers of the American Classic Gone With the Wind as they searched for old south refinement in the north. The manor can be seen in all of her antebellum glory as the iconic Tara Estate in the 1939 film. In the early half of the 1940s, the manor served as home to a new family – both human and animal. The Holland Classical Circus called the manor home before leaving after the end of World War II in 1945. During this time, one of the manor’s wings was burnt down in a fire. Later on, the manor’s other wing would be torn down in order to retain the symmetrical appearance that southern plantations are famous for. In the 1950s Robert and Pauline Morin turned the Haymount Estate into a riding stable called The Walk, Trot, and Canter Club. From the 1970s to the early 2000s, the Haymount Estate became the Maisson Lafitte, a French Restaurant owned and operated by Giovanni Susech until it eventually fell into disrepair. In May 2015, The Haymount House fell into the hands of renowned Westchester caterers, Perry & Vincenza DiNapoli’s (of the DiNapoli Restaurant Group), which they renamed The Briarcliff Manor. After being restored to her original splendor, the manor now provides an extraordinary backdrop for private celebrations of all kinds – weddings, fundraising events, and corporate meetings.